A pinguecula is a raised, yellowish thickening of the white part of the eye. Excessive sun exposure is a common cause. 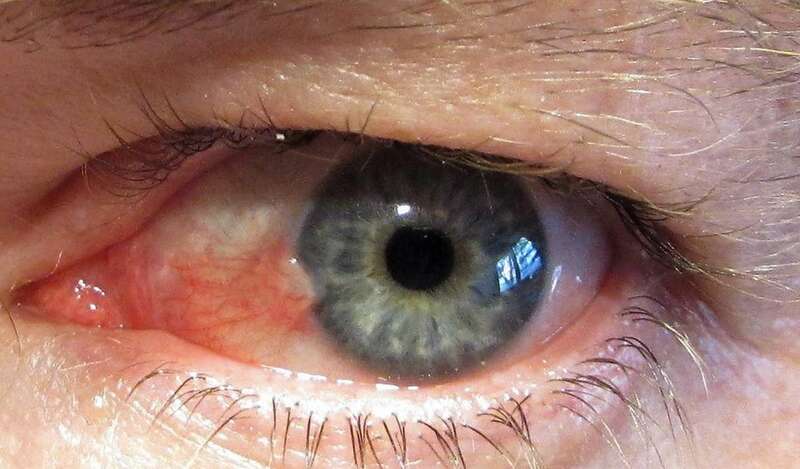 While pinguecula is more common in middle-aged or older people who spend a lot of time in the sun, they can also be found in younger people and even children — especially those who are often outdoors without protection such as sunglasses or hats. This condition is usually treated with artificial tears to decrease dryness. Sunglasses are helpful in preventing further growth. Surgical removal of the pinguecula may be considered in severe cases when it interferes with vision, contact lens wear or blinking.